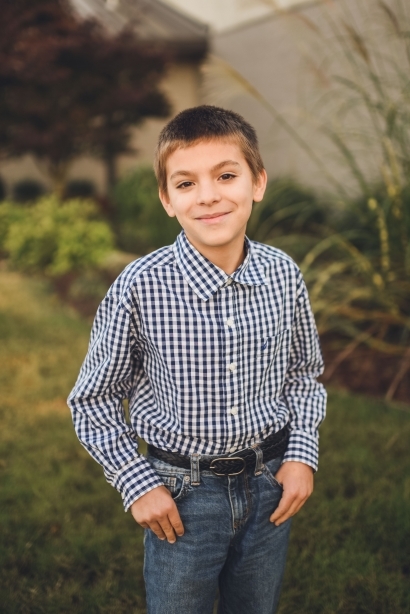 Benjamin is one of our favorite kiddos on the Heart Gallery. A self-described “weird” guy, Benjamin is one of those people who values their personal space. You know how we all get those moments when we just need to retreat and decompress a little with some “me” time. Benjamin needs that from time to time, too. If he gets overwhelmed with life, he can get a little argumentative and difficult, but he’s able to recognize his behavior and re-focus his emotions with a little help. Outside of those brief moments, he’s like any other kid his age. He really has fun playing video games and actually enjoys working through math problems (OK, maybe that last part isn’t so common, but that’s a good thing!). He also has a hard time choosing what he loves more – pizza or his tablet. Listen folks, Benjamin may see himself as a “weird” kid, but truth be told he’s just a kid who’s come from a hard place growing up and has some of the behaviors you’d expect. But he’s working through them, and he’s making great progress. We asked him what his ideal forever family would look like, and he told us he wants a mom and a dad and at least one brother to share his life with. Friends, that’s not too much to ask, is it? If you’d like to learn more about our buddy Benjamin, just let us know.